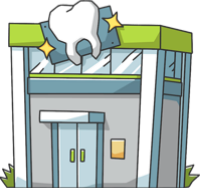 These are the most common insurances accepted by Dentists in Little Rock, AR. Everything they did was very good, the doctor has always been very good with Sean..
We love the entire staff!. Doc Wyant is the best dentist I have ever had (out of many). He and his staff really know their stuff.. I called to find out about their rates and how the getting dentures process worked. Ruth, the lady that answered the phone got frustrated with my questions and told me that I needed to look elsewhere for dental services and hung up!. Dr. Wyant and his staff are the best! They are perfectionists and that's exactly who I want working in my mouth! They are the nicest staff EVER! I'm very pleased with them! I will never go to another dentist!.